After sitting in clearance delay for 2 weeks in French customs, our 4th Nao, Marvin, is finally back in the lab again. Now we have four working Naos, which is pretty lucky (knock on wood). 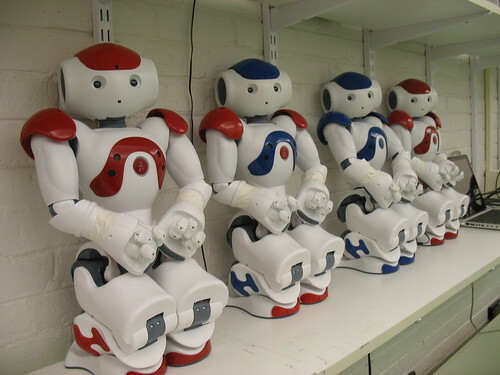 This entry was posted in RoboCup on April 22, 2009 by Joho.